For the second summer in a row, the Western Massachusetts Writing Project collaborated with the Springfield Armory (a US National Park site) on a summer youth program. 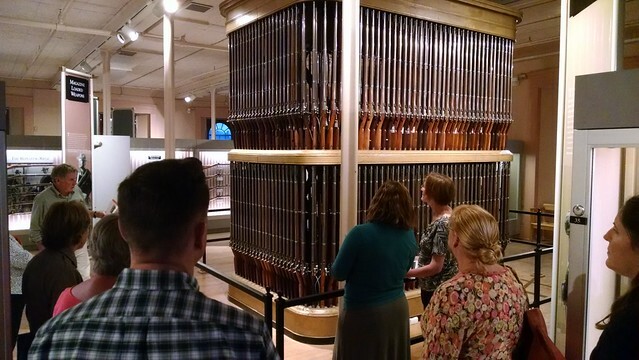 Middle school students spent a week in the Armory, learning about innovation, immigration and role that the Springfield Armory played in our country’s history. 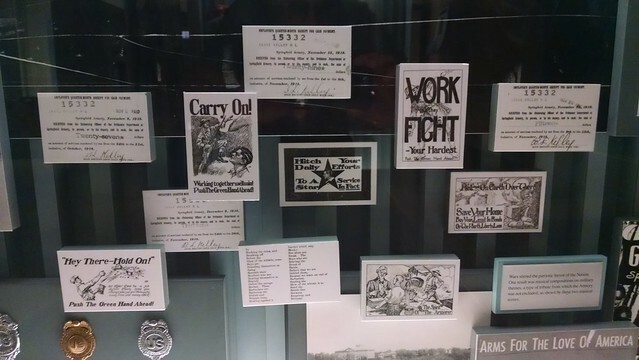 This week, I joined some other presenters –in conjunction with WMWP, a regional educational collaborative (which is running the program, as part of its history programs and Library of Congress access and support), the Springfield Armory and the Veteran’s Education Project — in a three-day Professional Development that uses the Springfield Armory as the source for primary documents and experiences. My facilitation role in the PD is more central to the second session taking place in a few weeks, when teachers will be exploring Narrative Writing, History and Primary Sources, as they develop lesson plans for the classroom. My goal will be to explore “voice” and “perspective” from the angle of writing and primary sources. One of the goals of the program is to get teachers inside the National Park site, and consider bringing students there. I admit: I remain a little leery of mixing my students with displays of guns, but the innovation and invention elements of the museum are pretty intriguing. Here is a playlist/collection of students from the summer program, presenting student research on various aspects of the Armory and its historical connection to the Pioneer Valley region. Note: I was not a facilitator of the summer youth program. This entry was posted in CLMOOC, WMWP. Bookmark the permalink.